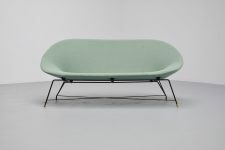 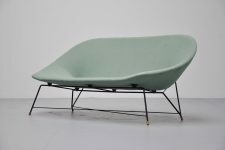 Fantastic sofa designed by Augusto Bozzi for Saporiti, Italy 1954. 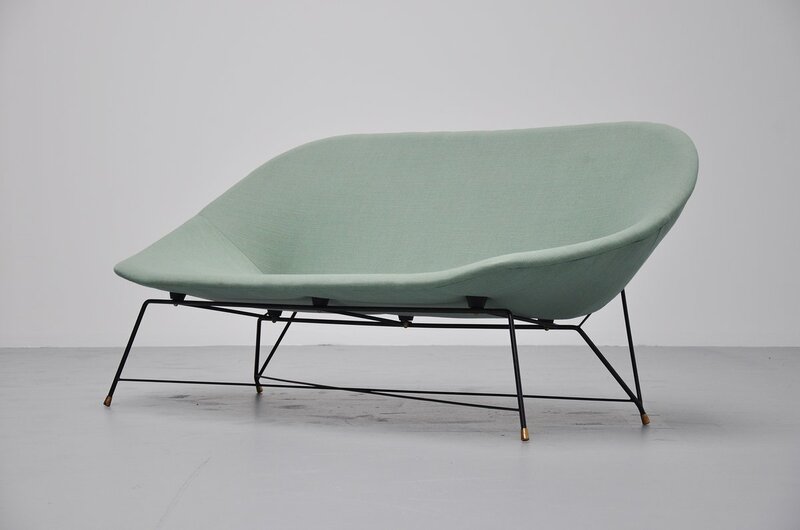 This dynamic shaped sofa comes from a complete seating set with 2 lounge chairs. 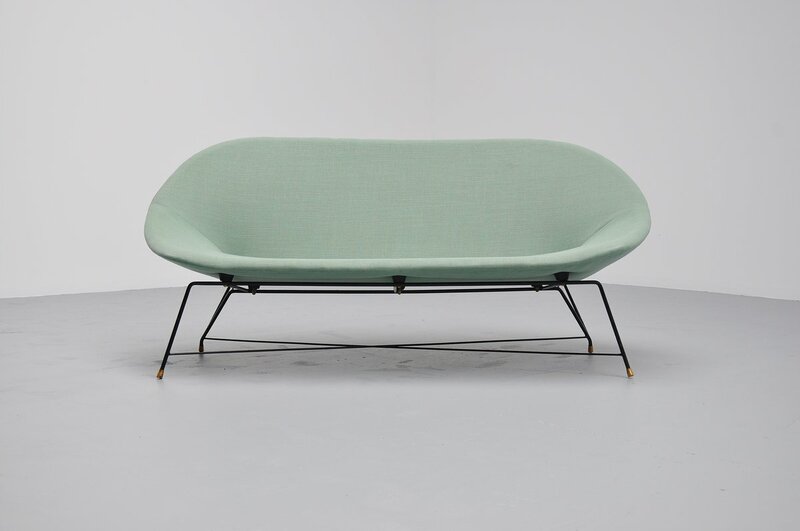 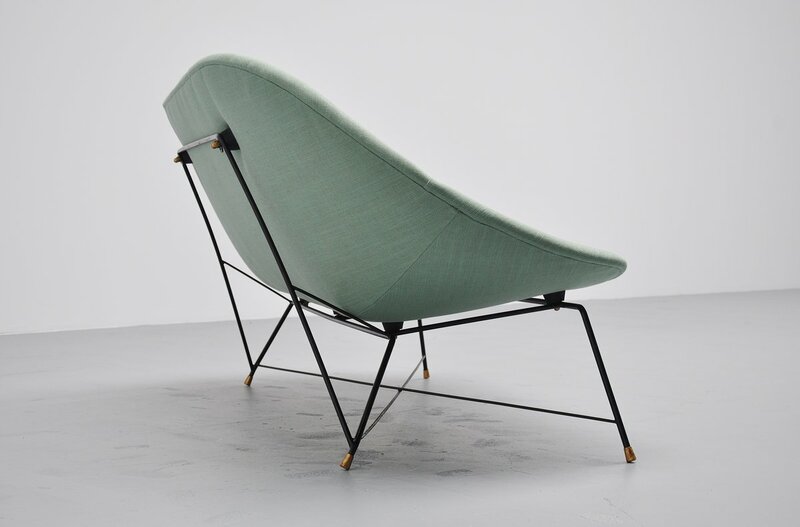 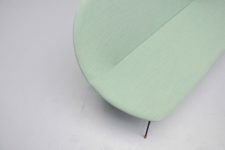 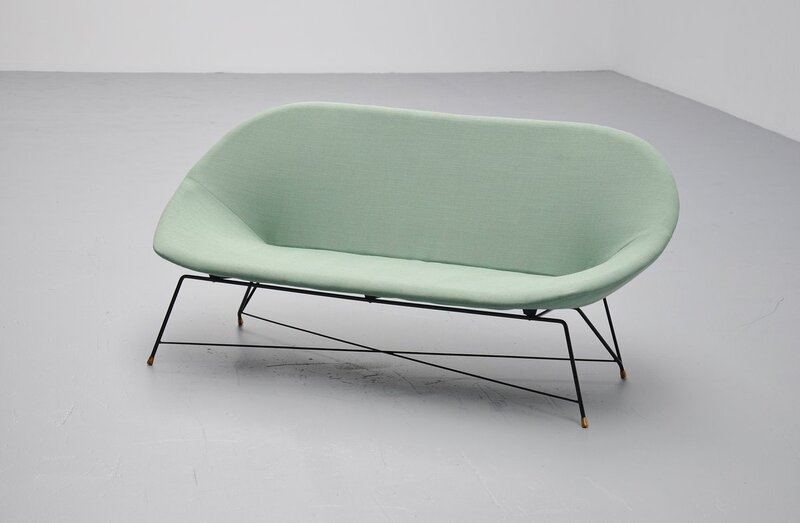 This sofa is very rare and hard to find, with authentic upholstered fabric in mint green. 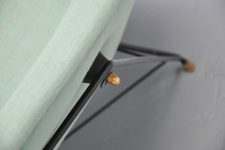 Black lacquered wire frame and brass ends. 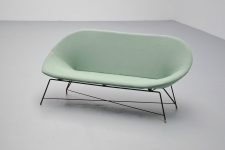 Super 2 seater sofa that looks amazing from all sides.